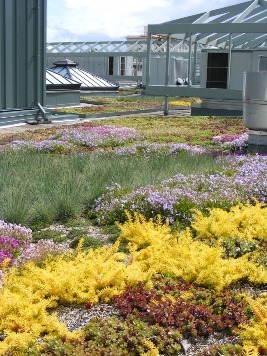 When installed by a licensed Red Shield Contractor, both the Firestone roofing system (materials, labor, and installation) and the SkyScape Vegetative Roof System (materials, labor, and installation, with optional coverage for overburden and two-year plant growth) can be covered a single Firestone Red Shield Warranty. Building owners can have the peace of mind that there is only one call to make for roofing warranty issues, and that both their roofing system and their green roof are cover by Firestone. L EED® gives building owners and operators the tools they need to have an immediate and measurable impact on their buildings' performance. Clark Rheem and Associates offers consultation and products to achieve LEED certification.